Is changing one’s nationality to avoid taxes a smart move? 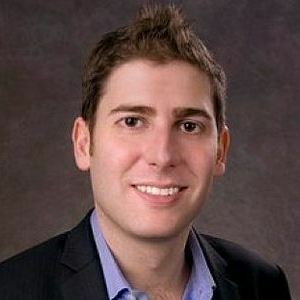 “Facebook co-founder renounces US citizenship for residence in Singapore” has captured headlines across the world, Forbes reports, and many believe that the reason for Eduardo Saverin’s change in citizenship was to avoid US capital gains tax. Some criticise his move as “unpatriotic” and “ungrateful” while others call him a hero for supporting the notion for a smaller government. With the impending Facebook initial public offering (IPO), Eduardo would have faced a huge tax bill based on the higher market value of his Facebook stake, which is currently worth an estimated USD $3.84 billion. It would put Eduardo’s tax statement up to an estimated USD $150 million that would have been much higher if he’d remained an American citizen. For investors and entrepreneurs, there are legitimate ways to improve on tax savings through efficient tax planning, such as offshore company formation and setting up a corporate bank account in a tax-efficient jurisdiction. But it is important to know the legalities of your home jurisdiction and the jurisdiction where you are planning to invest in. This is where a corporate service provider can add valuable advice. In a bid to ease the availability of financial information regarding local businesses, Singapore’s Accounting and Corporate Regulatory Authority (ACRA) has initiated improvements to its current XBRL (eXtensible Business Reporting Language) system by offering greater user-friendliness for businesses & other users. ACRA believes that the new improvements will go a long way for investors’ confidence in Singapore, as it promotes greater corporate governance as well as transparency in Singapore’s business environment. The new interactive format allows data to be easily obtainable and quoted for analysis. This reflects the Singapore government’s unwavering commitment to welcome firms and businesses and promote company formation in Singapore, through various means such as improving the ease of doing business and increasing corporate transparency. Further information can be found in this BizDaily article. Beijing is expected to roll out stimulus measures to boost domestic growth, as retail sales, industrial manufacturing and fixed-asset investment numbers are beginning to see a slowdown. The Chinese central bank lowered banks’ compulsory reserve ratio by 0.5%, allowing local Chinese banks to maintain a lower reserve balance and offer more credit for lending. However, Interbank lending has also fallen, maintaining a lower reserve ratio even without the central bank’s rate adjustment. This raises the question of whether China’s measures are actually having an impact, and what paths China can take to boost growth numbers. More information can be found at the China Daily. Europeans are starting to show their discontent as more countries are voting new anti-austerity politicians to the forefront of the Euro crisis. Following the French and Greek elections, initial austerity plans have been thrown back into discussions as the new governments seek to negotiate a better deal that would appease their voters. According to IOL News, since the 2008 crisis began, 8 governments have been replaced over their austerity programs, and in 6 of these countries, voters were the main driving force for the change. Today, more uncertainty looms as Greece is highly expected to drop out of the Eurozone following the government’s impasse at forming a coalition. « French President Hollande’s 75% Tax on Rich – Will Investors Bid Au-revoir?